30kVA, 3 Phase Standby Generating Set with John Deere engine, 160 litre fuel tank and auto-start control system, in fully enclosed weather protected acoustic canopy. This 30 kVA, John Deere powered genset has a 160 litre fuel tank, auto-start control system and is enclosed in a weather protected acoustic canopy. 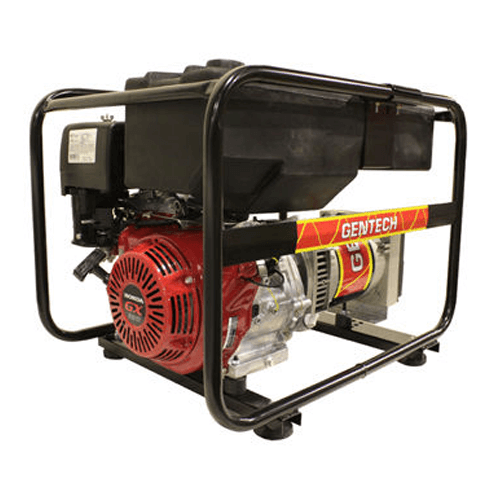 The generator is mounted as a whole onto a heavy duty fabricated steel baseframe. Anti-vibration pads are fixed between the engine and alternator feet and the baseframe, ensuring complete vibration isolation of the rotating assembly. John Deere has an unparalleled track record for providing reliable, hard-working and efficient engines that won’t let you down, even in the most extreme conditions. Whatever you throw at them, you just know they’ll keep working day after day. With over 80 years of proven performance, you can depend on a John Deere engine for uninterrupted performance, durability and unbeatable fuel economy. These engines are built tough, for our harsh Australian conditions. 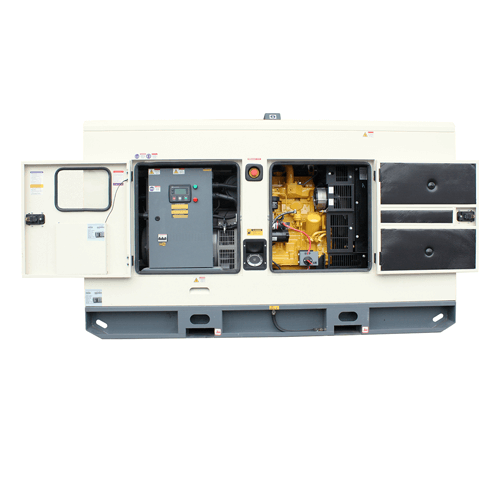 The genset has a Crossley SLG Series alternator. These alternators are single bearing, 4-pole, with a brushless, rotating field design and are self-excited with power derived from main output windings using the Automatic Voltage Regulator (AVR). Manufactured using the highest quality copper and steel with all laminations impregnated with epoxy resins, the SLG Series are of a modern design with a precision AVR that allows overloads of 10% for one hour in 12, and overloads for motor starting and short circuit protection of up to 300%. Available in either Single Phase (240V), 2-Phase (480V) or 3-Phase (415V). Stringent factory tests are carried out on the generating set, with a full load test completed prior to despatch. All protective devices, control functions and site load conditions are simulated. The generator and its systems are thoroughly checked prior to leaving our factory. A weather protective acoustic enclosure is included, to protect and prolong the life of your generator. Constructed of galvanised steel sheet that is cleared and finished using a powdercoat paint finish, this acoustic canopy will reduce the noise level of the generating set to approximately 80 dB(A) at 1 metre from the machine (73 dB(A) @ 7 m).